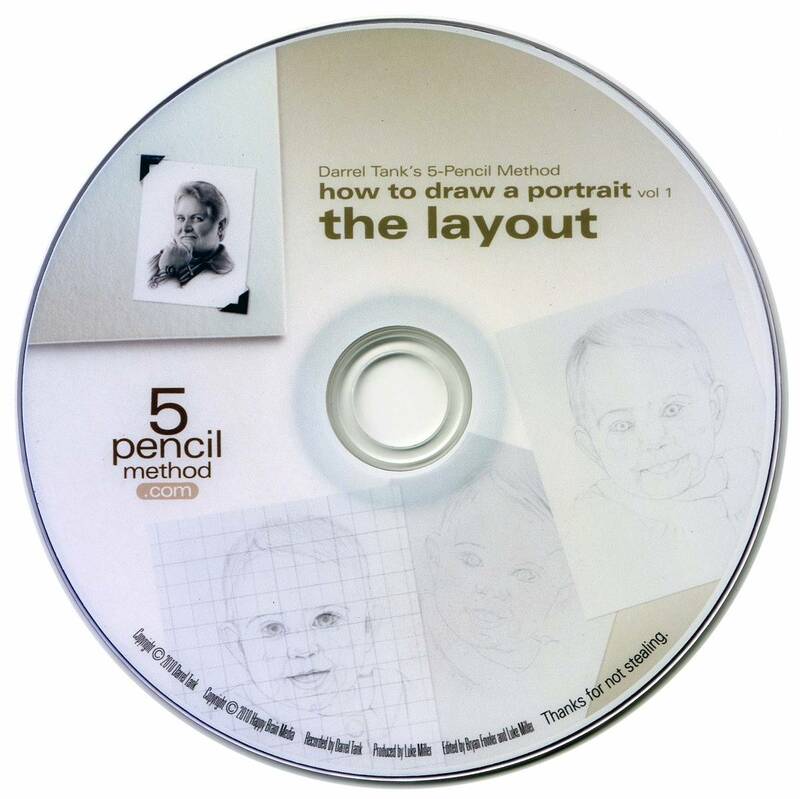 In this 3-DVD set, you’ll start with how to create an accurate layout — and how to train yourself to see. 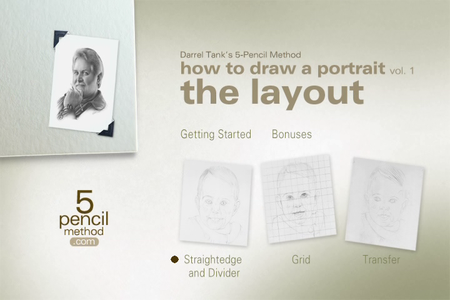 Then, follow along as Darrel shows you how to take the skills you learned in “Core Concepts and Exercises” to draw an entire portrait from start to finish. In the first DVD volume, you’ll learn several approaches for laying out your drawing. My goal is to provide you with the tools that will help you increase the accuracy in your drawing and see the relationships between the angles and shapes that make up great proportions. I’ll show you the most effective approach I have found for “learning to see” so that you can draw more quickly and improve your accuracy when drawing freehand. 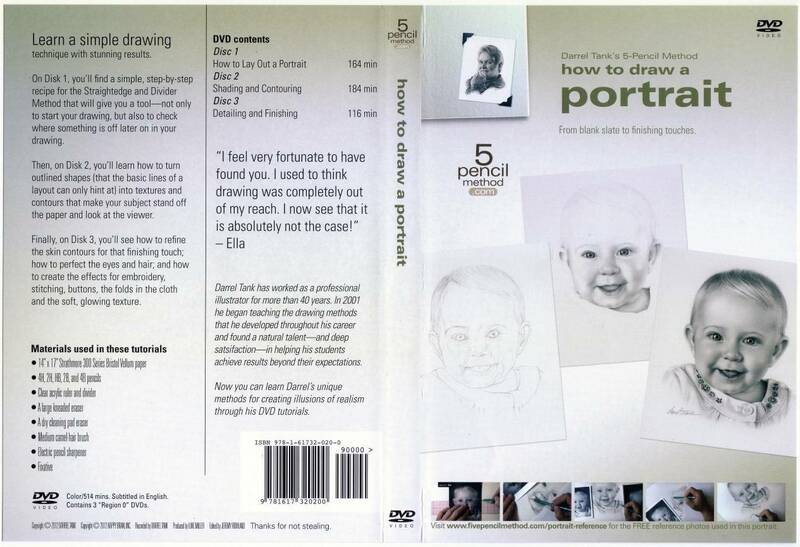 This is a very precise technique and you are free (and encouraged) to adapt it to your style and to use the method to double-check your freehand approach, providing yourself with the feedback to improve your drawing. Once we’ve put the outlines on the paper, the next step is to start building the contours with shading. 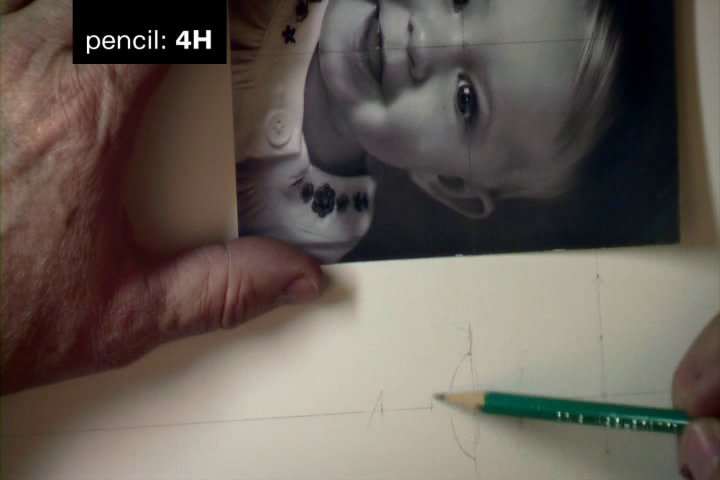 You’ll walk through how each pencil is layered and which one to start with. 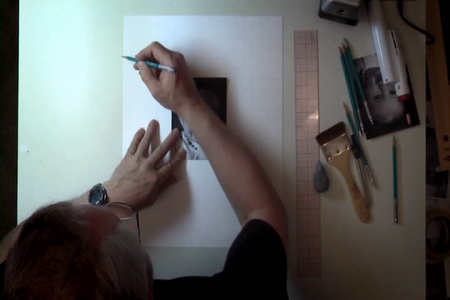 With each pencil layer we’ll build darker values. This process continues methodically until the eyes, cheeks, nose, lips, ears and neck all have the appropriate value and texture. 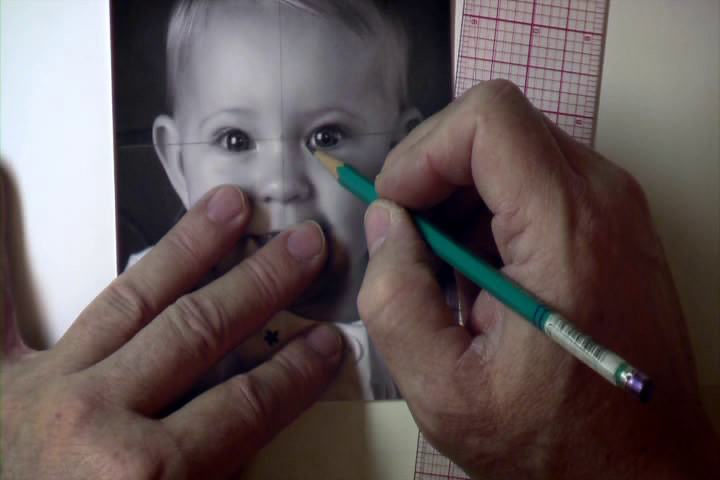 By layering each pencil value, we’ll get a crisp, yet smooth texture to the skin. And, our values will always remain in the correct relationship to each other, so that we don’t have areas that get too dark and out of balance with the values that are next to them. This way, we always stay in control and can achieve a much better result. We pick up with the baby’s little outfit. Using a similar process as we used on the face, we’ll create the base contours in the folds of the cloth, the seams, button, stitching, and embroidery. Once we’ve laid down the base contours, we’ll soften the cloth texture. The 3 rules of light will be used to interpret the shadows, create depth in the stitching and recessed folds of the cloth. 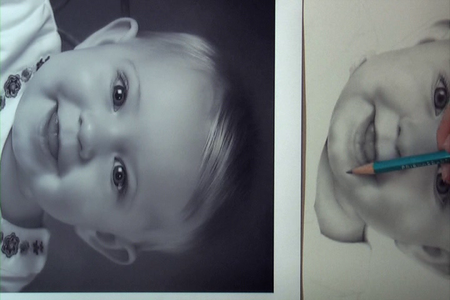 A final pass on the surface of the face and refining the eyes will complete the child’s delicate features. The hair is always the last thing. 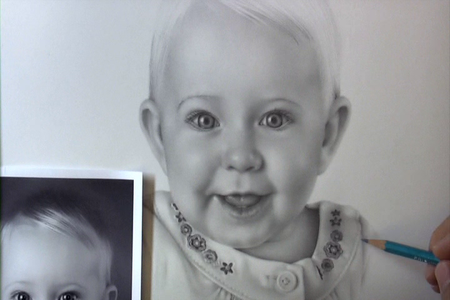 It’s one of the most fun parts of drawing a portrait. It lays in quickly and fluidly. Layer by layer the hair will build to create natural, silky locks that seem as if they could rustle in the breeze. Of course, your portraits wouldn’t be complete without a properly placed signature. 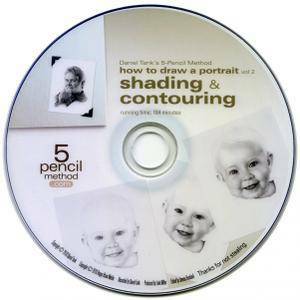 You’ll get a specific technique that you can follow to make sure that your signature will be in complete balance with your drawing. 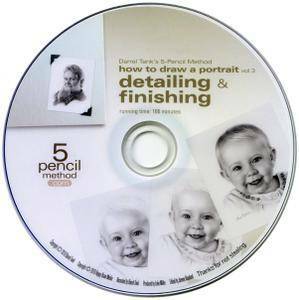 And once you’ve completed your masterpiece, you will certainly want to be sure to protect it from smudging. 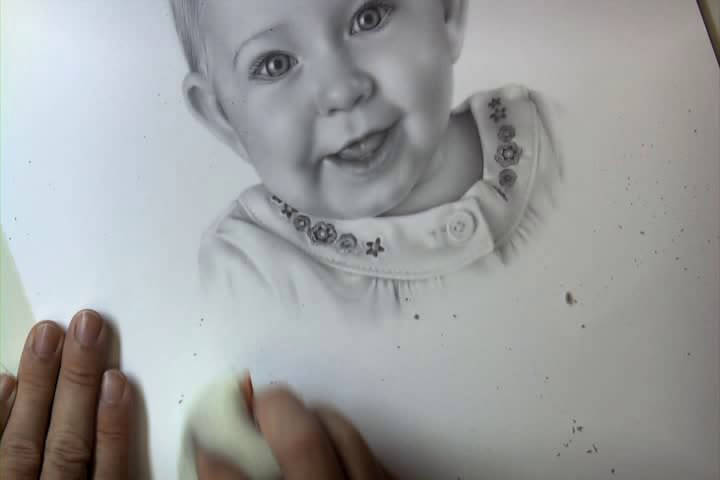 Using fixative properly will ensure that your portrait stays crisp and clean. You’ll learn not only the best approach for applying the fixative evenly, but for knowing when to stop.